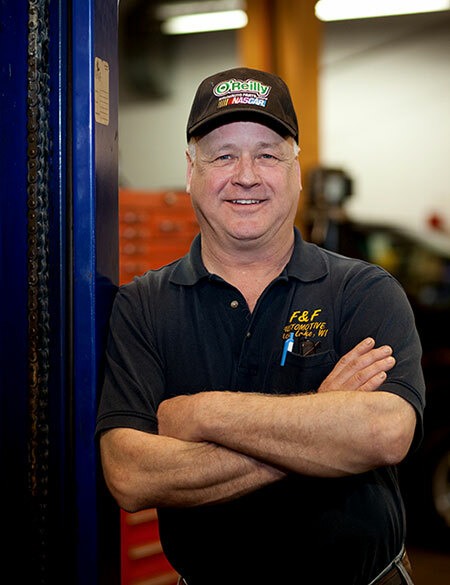 F & F Automotive was established in 1983 by Fred Lord Sr. after working for a local Ford dealership as a Service Manager. In short order, Fred developed a reputation among his customers as knowledgeable, honest and straight forward. 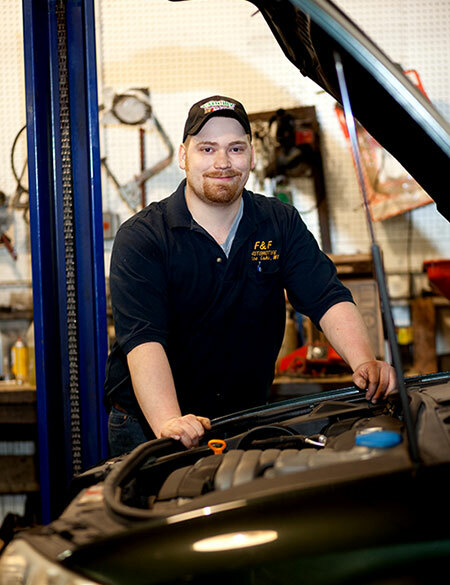 After becoming frustrated with the fact that he couldn't operate the Service Department and take care of customers the way he wanted, Fred decided to take a risk and open his own repair shop in Rice Lake. After finding a suitable building and some hard work, he opened for business. During those early years, it became apparent to Fred that there was a demand in Rice Lake for import auto repair and a reliable shop to repair them. Fred searched for and found an auto mechanic who had a little more experience than he did repairing import vehicles and hired him. Fred's son, Fred Jr. also became interested in what his dad was doing and so it was only natural that he started learning all he could about import auto repair from his dad and his one employee. After building a reputation for being an honest and knowledgeable repair shop, Fred's lone mechanic decided he wanted to venture out on his own and moved back to his home town. Once again Fred was working by himself except during the summer break when Fred Jr. helped out and continued learning all he could. The shop got busier than ever and its popularity continued to grow. In 1988, Fred Sr. became business partners with long-time auto mechanic Jerry Tubbs. 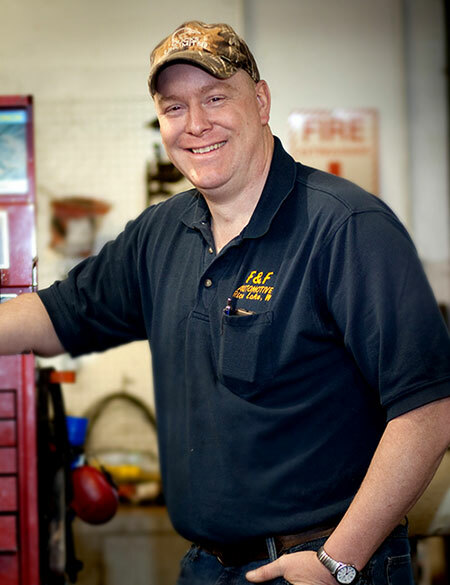 He and Jerry shared the same qualities and drive to deliver only the best in auto repair and customer service. Although Fred, Jr. pursued other career possibilities, within three years of graduating high school, Fred Jr. came into the business full time in 1995 realizing it was his passion. He continued to learn from both his father and Jerry. Fred, Sr., Jerry, and Fred, Jr. became a formidable team and attended any technical and mechanical training courses that were offered in and around the area to broaden their knowledge in computer and mechanical diagnostics throughout the years that followed. As time went on another of Fred's sons, Rich, became interested in auto repair and started working summers and after school learning what he could in that time. And like Fred, Jr. found it was his passion and started working full time after graduation while continuing to learn all he could from everyone else. In 2001 our local credit union was on the verge of expansion and needed our little shop for a bigger parking lot. 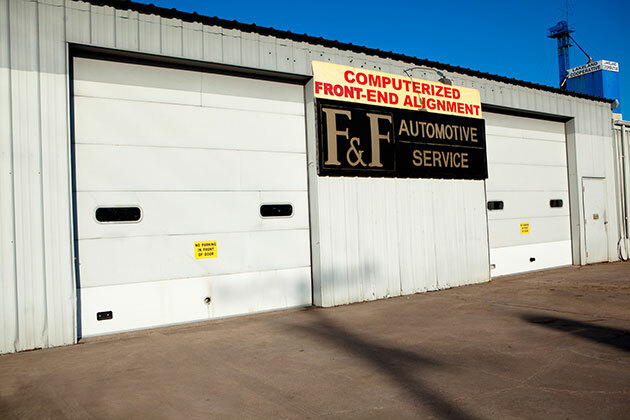 Fred, Sr. and Jerry had been considering finding or building a bigger shop to accommodate the expansion of F & F Automotive because they were running out of room. So, in 2002 F & F moved to its current location which provided twice the space and parking as the original shop had. Shortly afterward, Fred Sr. and Jerry also hired a couple more technicians to accommodate the increase in business. In the spring of 2006, Fred, Sr. passed away unexpectedly. Jerry and Fred, Jr. found themselves trying to handle the business end and the repair end of things at once. (Fred, Sr. operated the business end in the years before his death.) After a year of handling the repair load and customer service side of the business, Jerry and Fred, Jr. decided to hire someone to handle the scheduling and customer service side of the business so they could concentrate on the repair and financial side of F & F. Fred, Sr.'s youngest daughter Amanda joined us as our Service Writer in May of 2007. Amanda has since taken extensive training in automotive customer service to handle almost all business and customer related situations.